Enrollment for fall 2019 starts Tuesday, January 22! Call or email now for a tour, or visit our forms page to get started with registration. We take 12 children in our two day class which meets Monday and Tuesday and 24 spots in two separate three day classes which meet Wednesday, Thursday and Friday. We take 16 children in our two day class which meets Monday and Tuesday, 16 children in the three day class which meets Wednesday, Thursday and Friday, and 16 children in the five day class, which means every weekday. These are the classes that fill up most quickly, so we conduct an in-person registration for all families that are not active church members. Every currently enrolled two year old is guaranteed a spot in our three year old program. The only difference is that you can choose how many days you want, which requires us to have a first come first serve line to register. 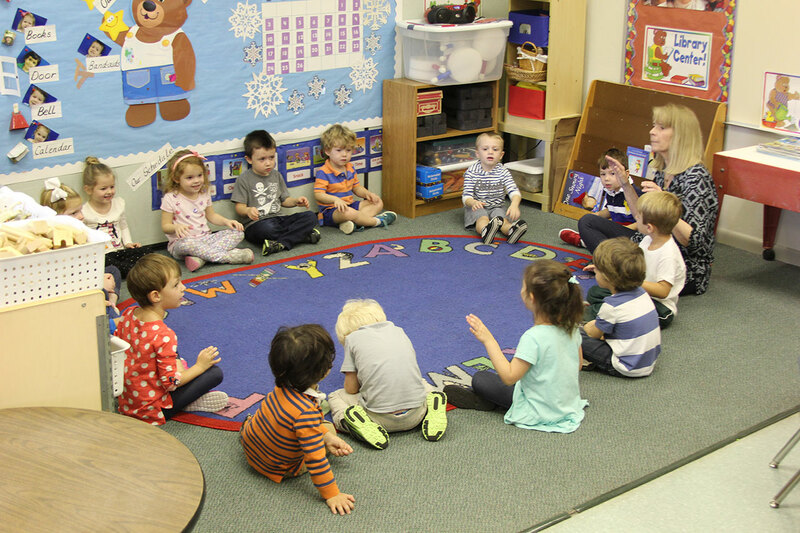 We take 18 children in each of the three VPK classes. First, return your Bright Beginnings forms to the front office to secure your child’s enrollment. You must also visit Florida’s Early Learning Portal at https://familyservices.floridaearlylearning.com/Account/Login. or parents may go to: The Early Learning Coalition, 2675 Winkler Avenue, Ft Myers, FL 239-935-6100. Original birth certificate, passport or immunization record signed by a physician. After you receive your child’s voucher, please sign and return it to the Bright Beginnings office along with a copy of your child’s birth certificate/passport and your proof of Florida residency. We can take up to 15 children in the Stepping Stones class. Space is extremely limited in this popular program. Please note that there is a LIMITED amount of financial aid offered. This is based on need (full disclosure of financial info is required) and must be applied for yearly. The deadline for financial aid packets to be returned is April 15. Please see the office staff for more information concerning financial aid. Bright Beginnings offers Christian-based camps for ages 3 through entering 6th grade. In 2018 we offered six weeks of camp.